In 1948, when this magazine first appeared, archaeologists believed humanity was little more than a quarter of a million years old. The earliest farmers came from Egypt's Fayum, perhaps 6,000 years ago. The Maya were peaceful, calendar-obsessed astronomers. Stonehenge was effectively undated. The first Native Americans were big-game hunters who roamed the plains. Archaeologists, meanwhile, numbered in the hundreds, many of them amateurs or self-trained excavators, and most worked within the narrow confines of Europe, southwestern Asia, and North America. Five decades later, we gaze out over an archaeological landscape transformed. The human past extends back more than 2.5 million years, farming is at least 10,000 years old, and the Maya are known to have been an aggressive, bloodthirsty people. The hundreds of archaeologists have become thousands, most professionally trained, conducting fieldwork in widely scattered parts of the world. And archaeology is concerned with every facet of the past, from our East African origins to the technological achievements of the Industrial Revolution. Developments in three major areas have redefined research during these years: computers and an awesome array of new scientific methods have allowed us to make discoveries unimaginable at mid-century; the explosive growth in the number of professionals and the rise of nationalism have made archaeology a global discipline; and theoretical advances have transformed the way we approach the business of discovery. Willard Libby's remarkable chronological method, developed in the late 1940s, won him a Nobel Prize and changed the course of archaeology forever. C-14 dating allowed the first relatively precise chronology for the past 40,000 years, spanning much of the late Ice Age, the first settlement of the Americas, the origins of agriculture, and the beginnings of urban civilization. Many scholars swallowed hard when Kathleen Kenyon and Robert Braidwood took the origins of farming in the Jordan Valley and Iraq's Zagros Mountains back to nearly 8000 B.C. At the same time, Braidwood led a multidisciplinary research team to Jarmo, a Neolithic site in the Zagros Mountains, bringing botanists, geologists, and zoologists into the same excavation camp for the first time. Natural science and climate reconstruction also became integral parts of archaeology. Pollen analysis, the calibration of radiocarbon dates with tree rings, zooarchaeology, remote sensing, and carbon isotope analysis--the developments came fast and furious. With these came greatly refined excavation and sieving techniques, formal statistical sampling, and the computer, allowing the analysis of far larger quantities of data than ever before. Today, no serious archaeologist goes into the field without a laptop computer and sophisticated electronic data recording and surveying equipment. Two seminal investigations were under way at mid-century. In northeastern England, Grahame Clark of Cambridge University excavated from 1949 to 1951 at Star Carr, a tiny hunting stand, uncovering an inconspicuous timber platform stratified in peat deposits on the shores of a former glacial lake. In a brilliant, trend-setting excavation, Clark reconstructed the site's environmental setting, placing the human occupants there during a time when birch forests covered the region. He radiocarbon dated the camp to about 8250 B.C. and, by studying the growth stages of red deer antlers preserved in the site, showed that the inhabitants had lived there in spring. The Star Carr excavations, published in exemplary fashion in 1954, alerted archaeologists everywhere to the enormous potential of water-logged sites, environmental reconstruction, and multidisciplinary research. Clark's work is still esteemed, although researchers have used new techniques such as accelerator mass spectrometry radiocarbon dating and dendrochronology based on European oaks to date the site, and even individual occupation episodes, to within a few years. In the New World, Harvard archaeologist Gordon R. Willey carried out another revolutionary research project. During the Great Depression, Willey had worked on river basin surveys carried out for the Army Corps of Engineers in the southeastern United States. In the late 1940s, he applied the same techniques to the Vir� Valley on the north coast of Peru. His research team used aerial photographs and ground surveys to reconstruct changing settlement patterns in this small valley over many centuries. With this research, regional archaeology was born. Today it is a dominant approach, as archaeologists shift from large-scale excavation to nonintrusive research that does not involve massive disturbance of the finite archaeological record. Archaeology has become increasingly specialized, sometimes arcane. What other discipline would concern itself with Ice Age beetles, chronic pathologies of early Syrian farmers, and medieval rabbit keeping? Such research, however, pales beside the spectacular finds of the past 50 years. Mary Leakey's 1959 discovery of "Dear Boy" (Zinjanthropus boisei), a 1.75 million-year-old robust Australopithecine, at Olduvai Gorge in Tanzania transformed overnight the study of early human evolution. So did Donald C. Johanson's 3.2-million year-old Lucy, found in Hadar, Ethiopia, in 1974, and Mary Leakey's remarkable 3.6-million-year-old hominid footprints discovered enshrined in volcanic ash at Laetoli, Tanzania, in 1978. The East African fossil discoveries of the past five decades have doubled the time scale of human history and are now closing in on our early ancestors close to that critical moment some 4 to 5 million years ago when the antecedents of chimpanzees and humans diverged. Thanks to fossil finds at Klasies River in South Africa and new mitochondrial DNA research, we can also be reasonably confident that the direct ancestors of Homo sapiens sapiens, ourselves, evolved in tropical Africa. Archaeologists of the 1950s relied on a crude climatological framework for the Ice Age, subdivided by the advances and retreats of Alpine and North American ice sheets. Oceanographers have now identified no less than nine periods of intense cold over the past 900,000 years, as reflected by the characteristic shells of minute animals known as foraminifera found in cores drawn from the depths of the Pacific Ocean. Thanks to this research, and sophisticated analyses of pollen recovered from glacial earths, ancient lake beds, and other Ice Age deposits, we now know the world's climate has been in transition from extreme cold to more temperate conditions for at least three-quarters of the past 750,000 years. New climatological studies have reconstructed the world of the late Ice Age, some 30,000 to 50,000 years ago, when modern humans first moved out of southwestern Asia to the northeast and north, replacing more archaic human forms. We now know that western European Neandertals and modern humans lived alongside one another for millennia. Analysis of DNA extracted from a Neandertal bone, however, suggests that Neandertals never interbred with Homo sapiens sapiens and were indeed an evolutionary dead end, as scientists suspected more than half a cenutry ago. New discoveries in Europe, Australia, and South Africa have documented the rapid spread of modern humans to all corners of the Old World. The recently discovered Chauvet Cave in southeastern France illustrates the brilliance of human artistry at least 30,000 years ago. By the same token, radiocarbon dates tell us late Ice Age humans in Australia and South Africa were painting as early as their counterparts in western Europe. By 15,000 years ago, modern humans had settled the Old World. Only the offshore Pacific islands and the Americas remained uninhabited. There are various theories concerning the first settlement of the Americas: ambitious, but unsubstantiated, claims for migrations into the heart of the New World by 40,000 years ago, and the more believable assessment of the Monte Verde site in Chile, which documents human settlement as early as 10,800 B.C. The wide range of plant and animal resources used at Monte Verde finally puts the old stereotype of the first Americans as strictly big-game hunters to rest. Nineteenth-century archaeological discoveries were on a heroic scale, involving royal treasures, even entire civilizations. Austen Henry Layard discovered the Assyrians, and John Lloyd Stephens and Frederick Catherwood rescued the Maya civilization from oblivion. Their work has certainly been equalled, if not surpassed, by that of the past 50 years. The terra-cotta regiment of Emperor Qin Shihuangdi in China, Italy's Ice Man, the decipherment of Maya glyphs, a fully laden Late Bronze Age ship off the coast of Turkey, and the rich burials of the Moche lords of Sipán are but a few of the major discoveries that have made headlines. Less known are a multitude of important finds: the ancient Makah village at Ozette, Washington, with its perfectly preserved plank houses; the humble Maya village at Joya de Cerén, El Salvador, buried under volcanic ash in the seventh century A.D. (see "The Art of Gardening," January/February 1998); skeletons and possessions of people fleeing Vesuvius' eruption in the harbor area at Pompeii; the preserved letters of the Roman garrison at Vindolanda on Hadrian's Wall (see "Letters from a Roman Garrison," January/February 1992); and the rediscovery of ancient Polynesian navigation methods. In the past half century, we have come to understand that multidisciplinary archaeology is the only scientific way of chronicling and understanding human cultural change. Now the discipline itself faces new and daunting challenges: funding shortages, destruction of the finite record of the ancient world, and the need for a drastic reappraisal of the basic ethics and approaches of those who study the past. 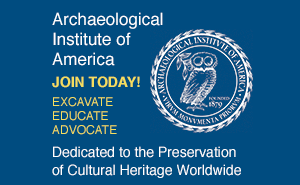 Native peoples in North America, Australia, and elsewhere now question the value of archaeology as way of reconstructing traditional history, arguing they have no need of Western science to explain their origins or their world. People sometimes ask me, "Will archaeology survive in the twenty-first century?" If the dramatic discoveries and scientific achievements of the past 50 years are any guide, the answer must be a resounding yes. 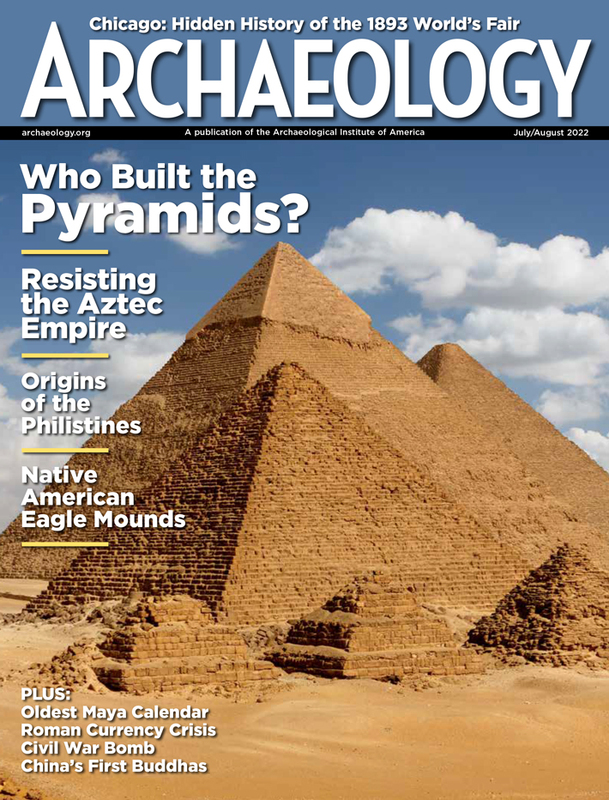 Brian Fagan, a contributing editor to ARCHAEOLOGY, is serving as consulting editor of ARCHAEOLOGY's 50th anniversary series.